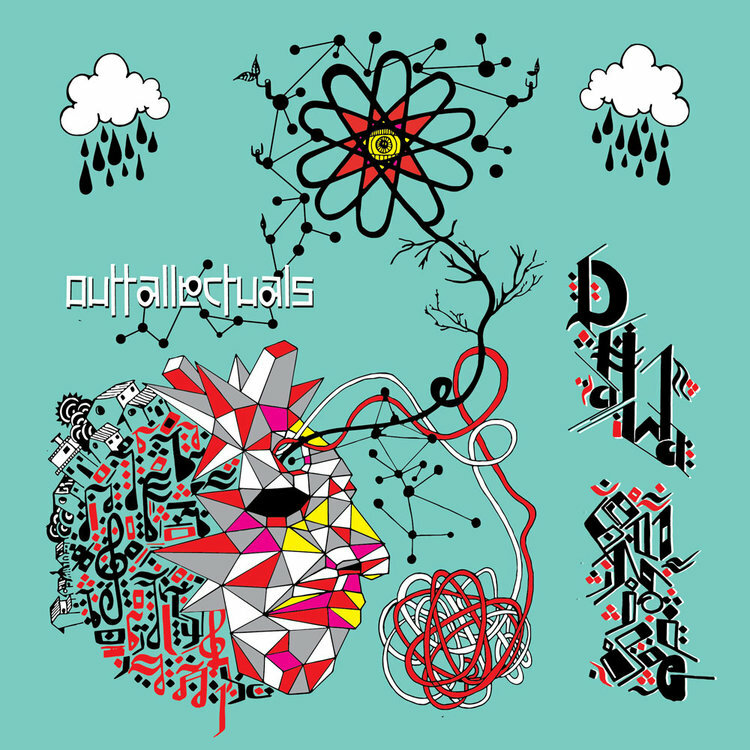 Outtallectuals is a digital music label that was started in the UK by label member Баxтак in 2011. It has since become a collective of more than forty musicians, artists, curators and philanthropists stationed worldwide. Due to the vast capabilities of the internet, this net label is able to operate across multiple continents; specifically Asia, Europe and the Americas. While they do have individual catalog releases from their array of artists, they also curate unique live performances and festival stages, manage events, and release charity compilations. Outtallectuals has a breadth far beyond the scope of releasing music. At the beginning of the new year, Outtallectuals will be releasing their next musical effort, Warpball. Today we have the privilege of premiering Aversive's "Questions", one of our favorite tracks on the compilation. The release features 20 songs and is also a soundtrack for a video game of the same name, created by game developers, Unruly Attraction. Being that this is an Outtallectuals release, you can expect to hear cutting edge, experimental bass music with technical prowess and a worldly view. Each of the songs on this compilation is a composition unto its own. As a whole, it is a marvelous soundtrack. While this specific release is not for charity, most of their compilations are. In 2015 they released the Dhawa Sunrise Compilation. Originally it was created to raise funds for the building of a science lab, but after the earthquake hit in April of 2015, it went towards helping to rebuild the village. Outtallectuals feels strongly about using music as a tool for enacting positive change onto the world, and this is only one of many efforts they’ve made. In their words, they are “a label specializing in a conceptual hybrid of music, culture and sustainability”. Most recently, they worked together with many others to construct a Skatepark in Nepal, in an effort to build a foundation for skate culture in the country. You can watch a short documentary about the project here. Outtallectuals is a music label and “live act”. In the past this has meant a selection of label artists, with the addition of local artists dependent on place. In Bhutan in 2015, Bwoy de Bhajan and Amin Payne performed together with the Monks of Majuli, a ten person collective of monks from Northern India, and a two person Sufi Rajasthani group called the Kutle Khan Project. The intention behind curating these live acts is to expand the scope of bass music, to evolve the live experience, to explore the different modes of global music and to encourage experimentation on all fronts. Outtallectuals is just scratching the surface for the potential of these collaborative showcases. Based in Vancouver, Canada, bass music producer Aversive, or Avery Bremner, has been sharing her mellifluous creations with the world since early 2014. Today, we are premiering her track "Questions" off of the Warpball compilation. An opening circus-like melody leads into thick, bassy synths paired with a tempo that keeps your feet moving and your brain dancing. While the song is certainly bass driven, the recurring melodies maintain a nice light-heartedness to the track. There are many layers that unfold throughout. Questions is a terrific display of complex, sound-design driven music. We couldn't be more excited to share this with you.